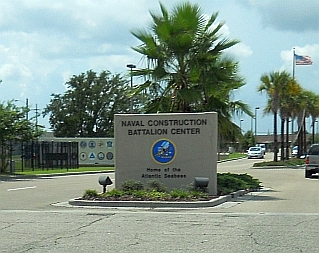 The Mississippi Gulf Coast is home to three large military installation including Keesler Air Force Base in Biloxi, Naval Construction Battalion Center (commonly referred to as “Seabees”) in Gulfport, and the U.S. Coast Guard in Gulfport. It’s a different world for the military family. For many, that has meant moving from base to base and routine deployment every few years – something extremely stressful for military families, especially children. These children are often thrust into schools with students who mostly haven’t shared their experiences as military kids. 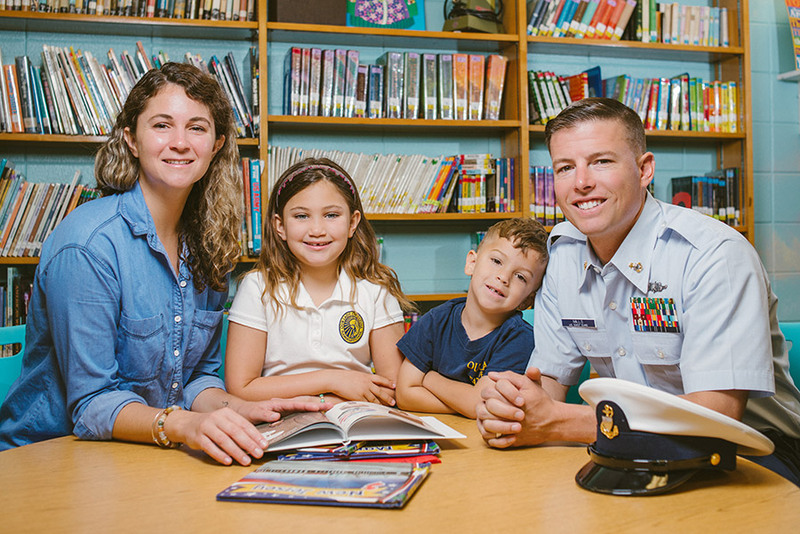 At Our Lady of Fatima Elementary, you will discover a school that is home to many military families. 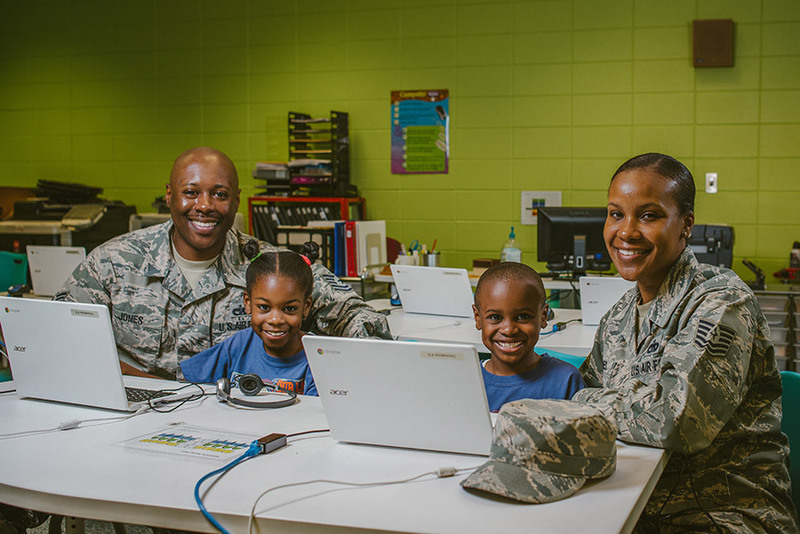 More than one-third of our students has at least one parent that serves in active military. The students and their families are welcomed at our school. 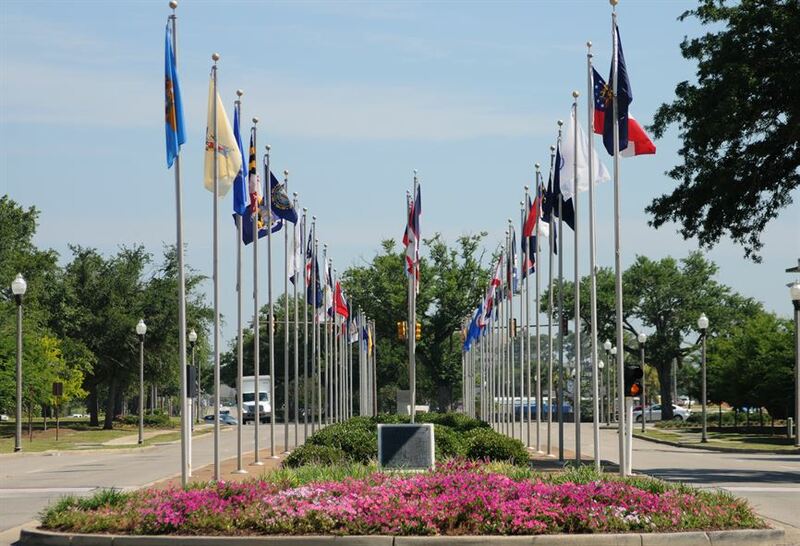 Your child will quickly make new friends with our local students and those who also are part of a military family. 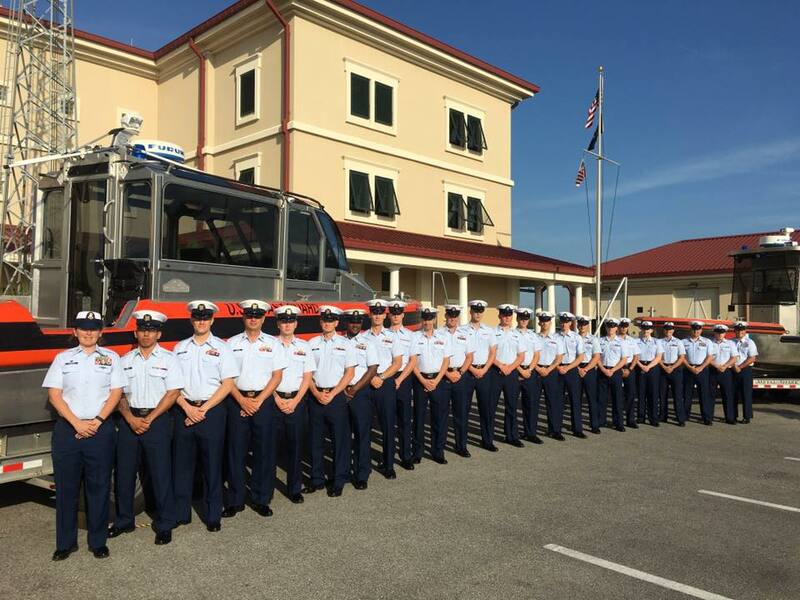 Since we serve of a number of military students, our faculty understands the need to welcome these students from day one and begin the process of integrating into our wonderful Fatima community. The faculty also understands that many of these students will be moving on after a few years. Our faculty is dedicated to providing these students with a first class-education in a safe and secure learning environment. Chief Petty Officer Mills and his wife, Natasha, moved here in the summer of 2017 from Texas. They immediately went on a search for a school for their two young children. They discover Our Lady of Fatima Elementary and enrolled them in the school. Tech Sergeant Richard Jones and his wife, Tech Sergeant Lisandra Jones moved here from Minot, North Dakota. They had attended Catholic schools growing up and were looking for a similar environment in Biloxi. They discovered OLF Elementary and enrolled their two children, Amani and Richard. They have been pleased with the quality of education and the convenience of the school.